The specific requirements for an alcohol or controlled substance test are carefully described in the regulations. A written record describing these “contemporaneous, articulatable observations” must be prepared before the test results are reported. If reasonable suspicion testing occurred on the subject driver, review not only the results, but the document describing the basis for requiring the test. If a driver acts or appears to have consumed alcohol or used drugs but tests negative, this could mean the driver has a medical issue. Further, the documentation could provide a basis for arguing the driver should have been subject to more frequent than annual review. (See subsection I.A.6). The reasonable suspicion subsection requires that the decision to order testing be made by a supervisor or company official who has been trained as required by § 382.607. In the right case, probe this aspect of the motor carrier’s operations: Who has been trained? Have they ordered any driver to be tested? How often did the subject driver interact with a supervisor who was trained? Did the motor carrier create interaction points between the driver and trained supervisor on any kind of a reoccurring or systematic basis? Does the motor carrier require that a supervisor with training be at each location/terminal and on duty at all times while the terminal is operating? If the motor carrier has not made certain it has trained supervisors at logical contact points, and you have an intoxicated driver accident, you may have an argument of individual negligence on the part of the motor carrier for failing to make certain someone was monitoring for reasonable suspicion purposes. A third party may not order a reasonable suspicion test. 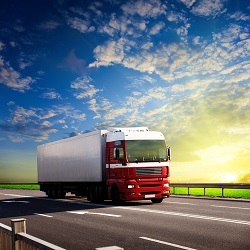 It can only be required by a supervisor or company official of the motor carrier. (See DOT Interpretative Question No. 1). Again, if the motor carrier operates the terminal 24/7, but no trained supervisor is there for the, say, 11 to 7 shift, the motor carrier may be missing drivers who would require reasonable suspicion testing. These aspects of the case can take on critical significance when there is an intoxicated driver, particularly one who has a history overlooked by the motor carrier, or admits that he routinely consumed alcohol or drugs while operating a commercial motor vehicle or prior to coming on duty. The DOT has stated an owner-operator is not subject to reasonable suspicion substance testing. (DOT Interpretative Question 4). This interpretation may be expressed in terms broader than intended. The intent seems to be to address an absurdity – an owner-operator requiring himself to undergo reasonable suspicion testing. However, the interpretation does state “the requirements of a [reasonable suspicion] test are not applicable to owner-operators in non-supervisory capacity.” Do not be surprised to see this used by a motor carrier as a defense to reasonable suspicion testing of an owner-operator driver who, due to circumstances, had to have been intoxicated when he picked up his trailer at a terminal, where he also had interaction with a supervisor. Draft discovery to capture reasonable suspicion testing – the document which describes why it was performed and the results. Depose the supervisor who ordered the test, even if it was negative. The supervisor had to have seen something, and possibly something other than drugs or alcohol was affecting the driver’s performance, and possibly caused the accident. Probe into the training process for supervisors and the motor carrier’s process for conducting reasonable suspicion testing. Of course, this aspect of discovery is far more significant in a case where a driver was intoxicated or you have reasonable suspicion to believe he was intoxicated. Conduct routine initial discovery to include reasonable suspicion testing as part of the initial sweep through the motor carrier’s policies and adherence to the regulations. Case law dealing with reasonable suspicion testing appears to address, in the main, claims of wrongful discharge or discrimination.